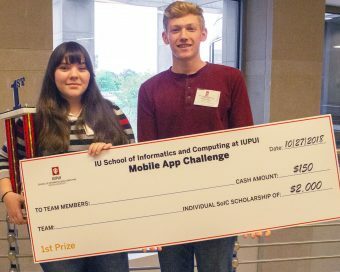 Thirteen high school teams around Indiana participated Saturday, October 27, 2018 in the fifth annual Mobile App Competition, sponsored by the Department of Human-Centered Computing at the Indiana University School of Informatics and Computing at IUPUI. 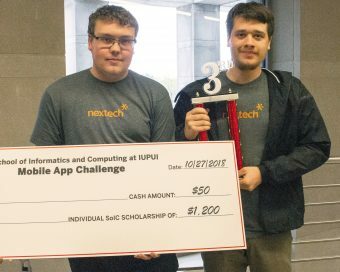 Raspberry Pi from Scratch from Plymouth High School won first place, Terre Haute South High School took second, and Nextech Catapults placed third. 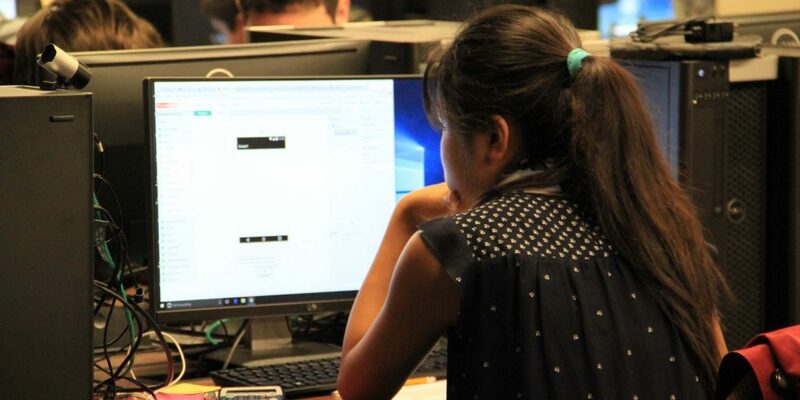 This year’s challenge was to create a mobile application—from start to finish in less than 8 hours—that would help voters navigate the election process more easily and successfully. Travis Faas, media arts and science faculty member and co-organizer for the event, asked the teams to design an application that dealt with the voting procedure here in the United States—finding polls and polling times, figuring out who to vote for, staying informed—or changing the process to be more open for the voting populace. This is the fifth year for the challenge, which has grown in interest and popularity. 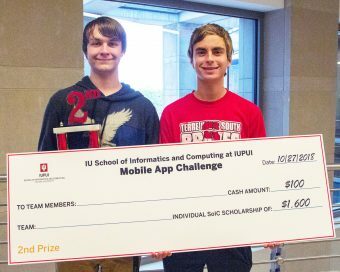 Winning teams receive cash prizes and scholarships to use to study at the IU School of Informatics and Computing at IUPUI.